​Will Fetters is a screenwriter and producer. He received an 2019 Oscar nomination for his adapted screenplay of A Star is Born. His other projects include Remember Me and The Lucky One. ​Nancy Stafford is an actor, author, and public speaker. Her extensive work in television includes Matlock, Scandal, and St. Elsewhere. She has worked in number films including Christmas for a Dollar, A Mermaid’s Tale, and Heaven Bound. ​Danny Vinson is a screen actor who has worked opposite the biggest names in Hollywood. Some of his over 80 movie and television credits include: The Walking Dead, Talledega Nights ; The Ballad of Ricky Bobby, AMC’s Lodge 49 and Walk The Line.Danny is a member oft the Lindsey Film Festival Advisory Board. Austin Parsons is an actor, comedian, writer, and filmmaker based currently in Alabama. He recently graduated with his Bachelor's Degree in Film from the University of North Alabama. Austin appears in Bleed American, screening at this year's festival. ​Scott Paul is a filmmaker, scholar, and student. After 20 years as a news editor for NBC and CNN, Paul began producing educational media for clients that include Verizon, Easter Seals, Crayola, and the University of South Florida. He holds a Ph.D. from NYU, and is currently a graduate student in Mental Health Counseling at UNA. Jens Ericson is a Director, Cinematographer, and Camera Assistant from Eden Prairie, Minnesota. Jens graduated in 2108 from DePaul University's film program. His documentary "Red Line Lounge" is a finalist at this year's Lindsey Film Festival. Jens currently lives and works in LA. ​Named by New City as one of the top 50 people in Chicago's booming film industry, Mike McNamara is an actor and producer in independent film. Acting credits include Matt Casey's questionable brother-in-law Jim Jordan in the NBC series Chicago Fire and festival winners Qwerty, The Lake Effect and The Replacement. Producer credits include Cannes Film Festival 2017 selection They. Phoebe Jones found her love for story-telling at a young age while growing up in the Shoals. She has worked professionally in various aspects of film, television and theatre since 2012, including Night and King Lear. She has worked on a handful of projects that have premiered at this very film festival, including: Stay, Pretty Feet, The Trial of the Rockstar, and Bleed American. She is currently producing a short film with UNA alum, Thomas Kennedy Pope. 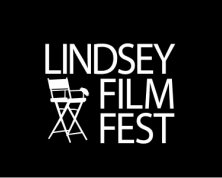 Click here for printable 2015 Lindsey Fest Screening Schedule (pdf). Click here for printable 2014 Lindsey Fest program (pdf). Click here for printable 2013 schedule (pdf). Click here for printable 2013 Lindsey Fest Program (pdf).